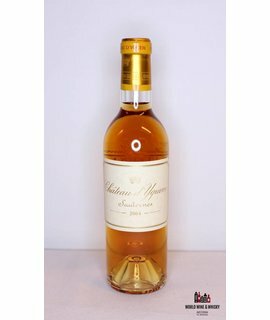 Château d'Yquem is a Premier Cru Supérieur wine from the Sauternes, Gironde region in the southern part of the Bordeaux vineyards known as Graves. 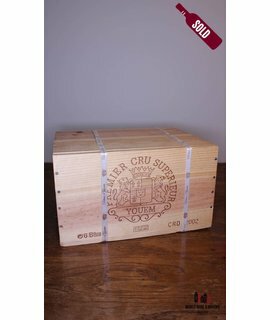 In the Bordeaux Wine Official Classification of 1855, Château d'Yquem was the only Sauternes given this rating, indicating its perceived superiority and higher prices over all other wines of its type. Yquem's success stems largely from the site's susceptibility to attack by "noble rot" (a particular kind of infestation by Botrytis cinerea). While Minister Plenipotentiary to France, Thomas Jefferson visited the château and later wrote, "Sauterne. This is the best white wine of France and the best of it is made by Monsieur de Lur-Saluces." Jefferson ordered 250 bottles of the 1784 vintage for himself, and additional bottles for George Washington. However, at that time the technique of allowing noble rot to infect grapes had not yet been discovered, so the wine Jefferson was drinking was a different sweet wine.